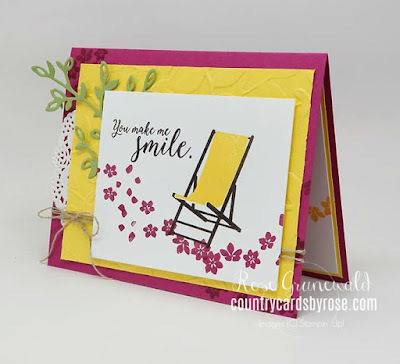 Welcome to this month's OSAT Blog Hop! 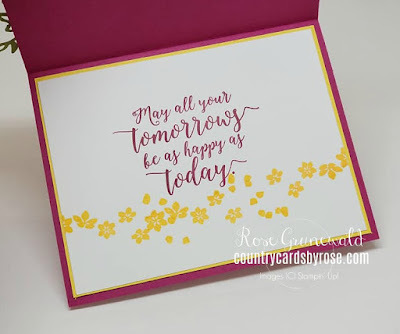 I'm so glad you could join us! 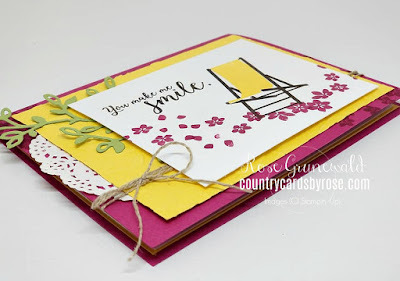 I bet you've been loving all the projects you've seen so far, and I know you'll continue to be inspired by the rest! 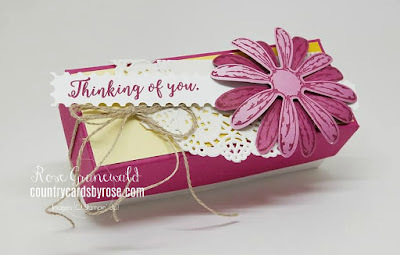 I have had a severe case of spring fever lately, so when I saw the theme for this month's hop was Packetful of Posies, I knew I wanted to feature some pretty spring flowers and some bright spring colors! 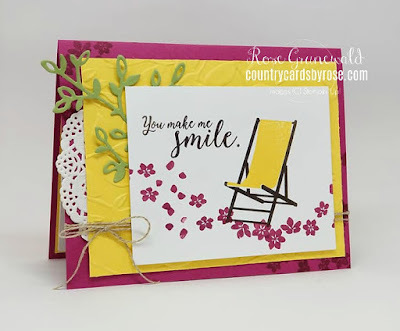 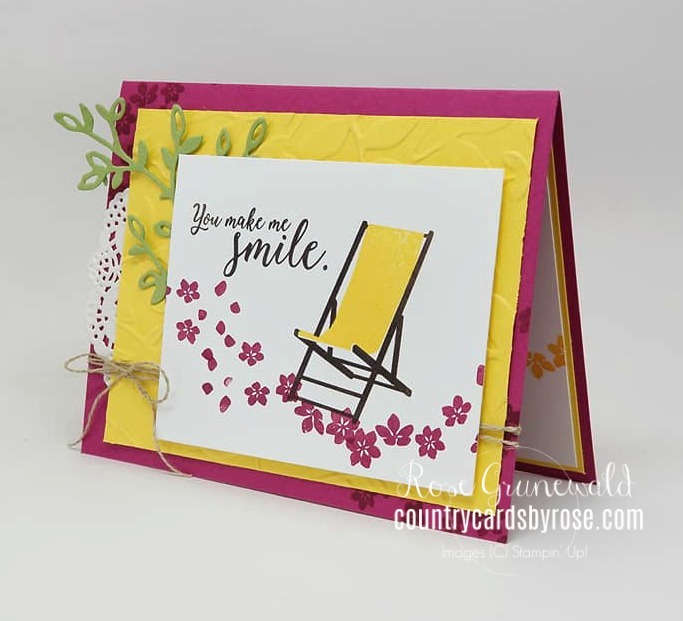 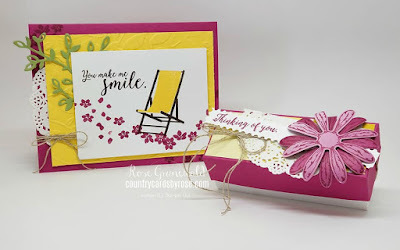 I used Berry Burst as my card base, and found that it really pairs well with Daffodil Delight...don't you think? 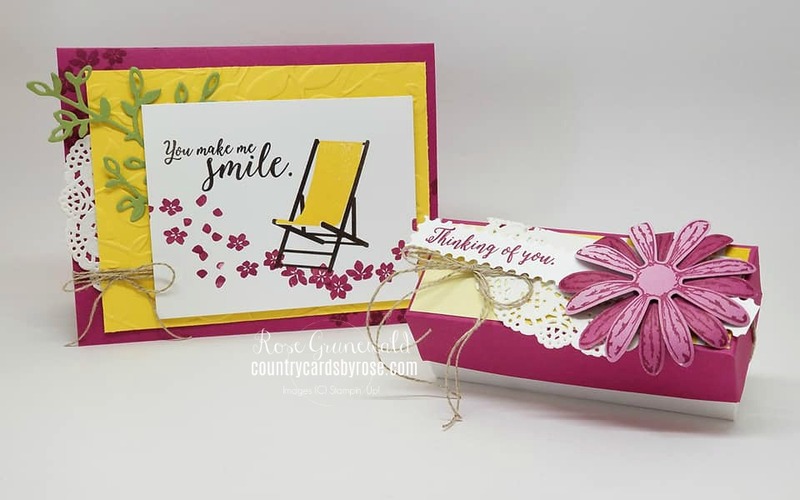 Berry Burst - 5 1/2" x 8 1/2, fold at 4 1/4"
Daffodil Delight - 5 1/4" x 3 3/4"
Whisper White - 3 1/4" x 4"
Daffodil Delight - 5 1/4" x 4"
Whisper White - 5 1/8" x 3 7/8"
Whisper White Thick - 4 1/2" x 7"
Berry Burst - 5 5/8" x 8 1/8"
Now hop along with us and be inspired by some more creations! I know you'll love what my other stampin' friends have created!